Freezer failures can result in loss of critical materials or samples. However, this can be avoided. Monitoring temperature alone does not give you enough advanced warning to know when a freezer is about to fail. It’s merely an indicator that a problem has already occurred. 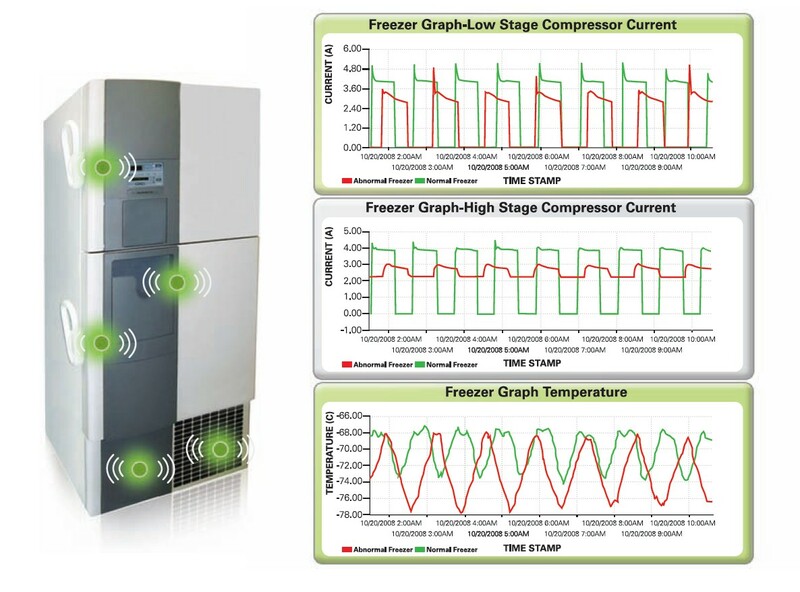 The Cypress Envirosystems Wireless Freezer Monitor (WFM) allows you to monitor critical parameters to give you a better picture of freezer health. By monitoring the internal temperature as well as the door switch status and compressor current draw (high and low side), you can see problems before they results in failures. No more moving samples at the last minute as your freezers are failing. You can schedule maintenance before it becomes critical. There’s no new software to install. Simply open a web browser and you can view the data or set alarms in minutes. Alternatively, you can connect the system to your existing building or plant automation system using industry standard protocols. 1. Orifice diameter should not be confused with pipe diameter. Consult the steam trap manufacturer if orifice size is not known. 3. Actual WSTM installed cost will vary based on volume and integrator. 4. Refers to the manual inspections of steam traps that are currently being done at the facility. The frequency determines the potential avoided failure time when using the WSTM. 5. The frequency and cost of inspection determine the labor savings enabled by the WSTM.